I was visiting Debra at Common Ground and she has the same thing happening, every time she updates her page by joining in with a linky party HER page is posted again ! Same thing is happening to my post - I update and boom, back as a 'just posted' post !!! Below is my post (new one comes out on Thursday). When cleaning out the storage tent in the back yard in mid August I re-found the roll of wire, put it aside for another project. Late August and the hydrangea are looking very lush. 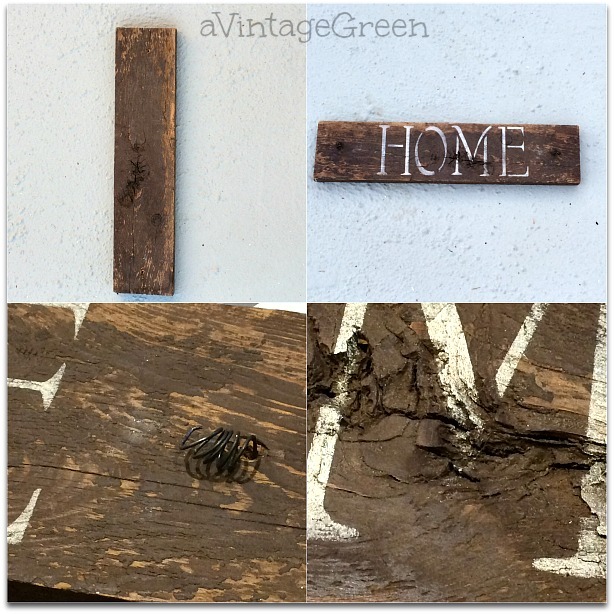 I liked the wear details on this old piece of fence board plus I tried making a wire hanger that I had admired for some time, twisted through the front of a sign (which conveniently had holes in just the right spacing). 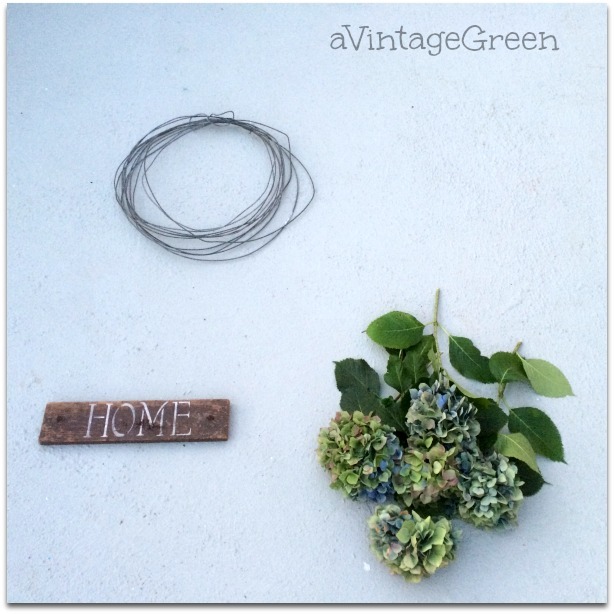 I tried out the roll of wire and the hydrangea alone (this was before I made the small HOME sign). Made the HOME sign and tried the HOME and wire together. I just love the photos of each part of the wreath. Put the three pieces together. Finished. Wreath for the front door or ... and no new cost, just found around and used stuff. I know the branches are hanging outside of the wreath but the look appealed to me. School starts on September 6th in our area. Grade 8 - different and longer drive to take DGS to school and pick up. New routines to learn, new people to meet. Yesterday was DGS's Welcome to all the Grade 8 BBQ (1 1/2 hours) that is organized and run by the Leadership Students at his new school (the Principal, Vice-Principal, Counsellors also meet the new students ). The new Grade 8's are given a thorough tour around the school, helped to locate and add their new locks to their lockers, shown their new homerooms, all important stuff to know when you are a new high school student. Student fees are paid. It begins. I love your wreath! Natural and recycled. Different and lovely. Well done! That wreath would cost a pretty penny in the shops! It's beautiful! This is a fantastic wreath Joy, I love each element and also that you have such an artistic flair! Lovely to have you join us at Thoughts of Home on Thursday. Wishing you a pleasant and safe Holiday weekend. LOVE the wreath! Joy your really are so talented! LUV it, such an awesome idea! Very creative - love it! 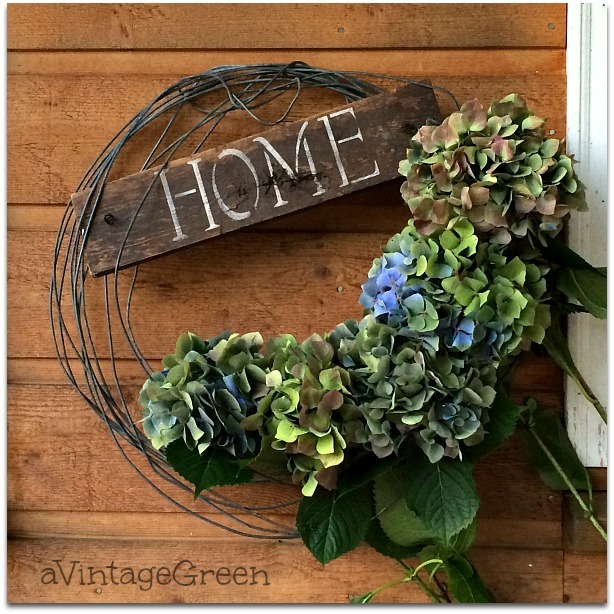 Such a great wreath to have put together with just found items! Thanks for sharing the step by step with us at Mosaic Monday this week. What a great-looking wreath. Your elements all work so well together. Grade 8 orientation is tomorrow at my school; I'll be there helping them find their way around. It's a fun time of year. Happy Monday! That was a fun project. Glad the grade 8's are getting a thorough introduction! Visiting from Mosaic Monday. Love all the elements in your wreath. Rustic, beautiful, with a twist of whimsy. 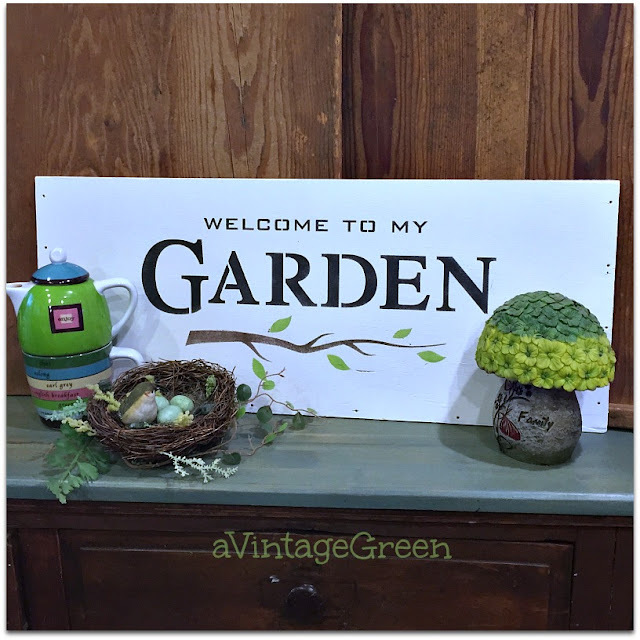 Thank you so much for sharing it with us at Vintage Charm. 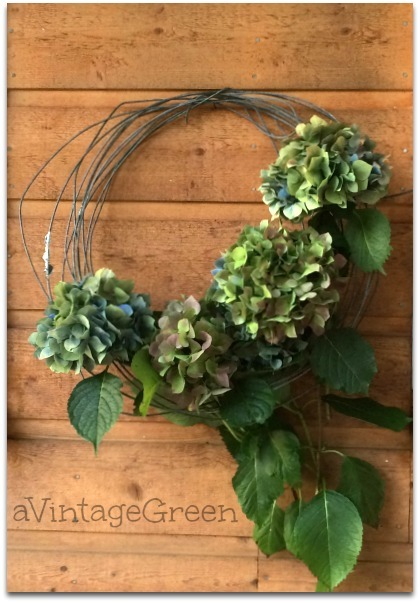 I am featuring your wonderful wreath tomorrow on Vintage Charm. This is adorable! Thanks for sharing such a wonderful idea. I am pinning to my Fall board right away for reference. Oh my gosh Joy, my hydrangeas look just like yours. I have been thinking of cutting them for the house to dry. I wonder if I can make a wreath like yours. I truly love what you did. I will try when we get back home from our trip to FL for the Gator games. We are staying the week to catch another game this coming Sat. Hope it doesn't rain. Smile! How clever! I love the final outcome. Great wreath! Thanks for sharing at Home Sweet Home! I just adore that wreath you made! It really has such style. I can't believe you had everything already to make it. School started here a month ago. Shocking huh?! It starts too early here. Yes, the traffic is bad now but I do like the schedule. Joy, I love just plain wire for the wreath. It works very well. Sylvia D.
Hi Joy, what a pretty wreath! I love the rustic look. Thanks for partying with us at Snickerdoodle. Pinning. 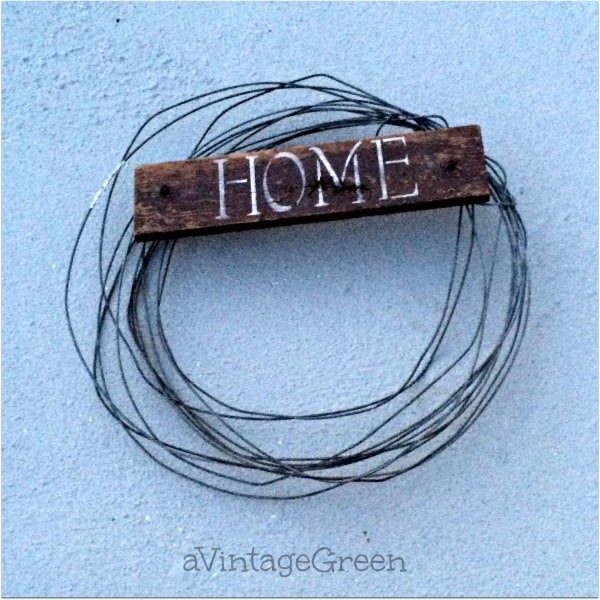 I love using wire to make simple wreaths and now I have to try adding a word on scrap wood. Joy ... Congratulations on all the "features". Well deserved because it is well designed, easy-to-do, creative and pretty wreath ... and no cost makes it even better.